On May 29, 1794, German astronomer Johann Heinrich von Mädler was born. He ist best known for producing the first exact map of the Moon, the Mappa Selenographica. Even though Mädler’s talents were discovered very early into his childhood. Unfortunately, his parents passed away very early and he had to care care of his younger siblings, even though he had always wished to study mathematics and astronomy. He financed his family though private tutoring and eventually managed to receive an official teaching licence. 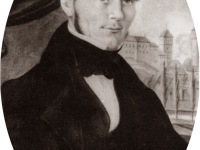 Starting from 1818, Mädler finally studied mathematics at the University of Berlin under the well known mathematician Martin Ohm. Also, he received many lessons in astronomy. 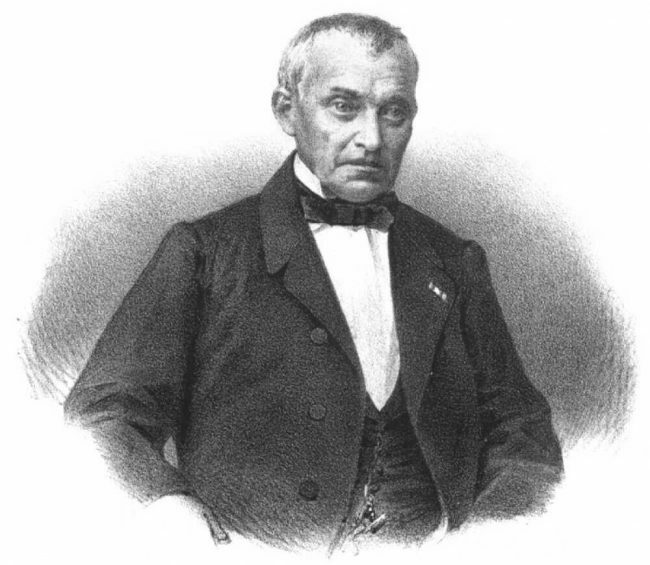 His first published observations were performed in 1822. 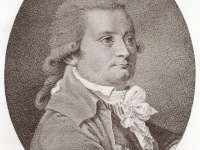 In this period, Mädler also got to know the wealthy hobby astronomer Wilhelm Beer. 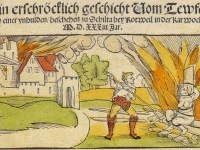 Mädler taught the man in science and was able to use his private observatory, where he observed mostly the moon and later planet Mars together with Beer. Between 1830 and 1836 Mädler made drawings of the moon’s surface for 600 nights. A large lunar map with four leaves was created. The first sheet appeared in 1834, the lithographs had been made by his cousin, Lieutenant Vogel. The maps were published in two volumes together with a text work General Selenography in 1837. The costs for this were borne by Beer. In 1838 a smaller map of the moon with a diameter of 33 cm appeared. In the following years the maps became the standard work. Mädler became world famous and received numerous awards. He received a doctorate and was appointed Professor of Astronomy by Friedrich Wilhelm III in December 1837. The scientists spent some time observing the Moon in Estonia in order to create an even bigger map, but unfortunately, the weather was not suitable most of the time and he was only able to make some detailed drawings. However, Mädler also found some time to perform observations on double stars and fixed stars. 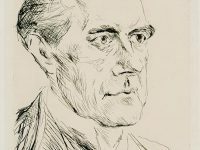 During his life as a scientist, Mädler also worked as a scientific journalist and wrote about the young pioneer photographic pioneer Henry Fox Talbot. It is assumed that Mädler coined the term ‘photographie’ in 1839. In 1864, he proposed a calendar reform for Russia: After dropping 12 days to align with Gregorian calendar dates before the year 1900, the leap year in 1900 along with every 128th year afterwards (2028, 2156, etc.) under the Julian rules would be cancelled. This would give a mean year of 365 days, 5 hours, 48 minutes, 45 seconds, which is extremely close to the mean tropical year. Neither the Tsar nor Orthodox clergy accepted this unsolicited proposal, though a modified version of it was made by Sergey Glazenap in 1900, and ultimately Russia would adopt the Gregorian calendar in 1918. At yovisto academic video search, you may be interested in a video lecture by Ross Beyer, who talks about “Making maps to explore the Earth, Moon, and Mars“.